Winding through seven states, the North Country National Trail offers a rich array of cultural history and striking natural beauty along its 4,600 miles across the North Country. From a towpath along the Erie Canal to the Shoreline of Lake Superior to the vast grasslands of North Dakota, this definitive guide will appeal to first time hikers, seasoned backpackers and everyone in between. 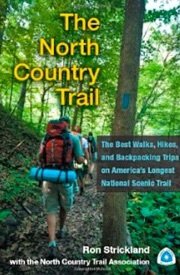 Chosen by the people who know it best - the members of the regional chapters of the NCTA - the guidebook contains detailed descriptions of forty of the NCT's best hikes, including trail highlights, tips, tables and maps, and more.